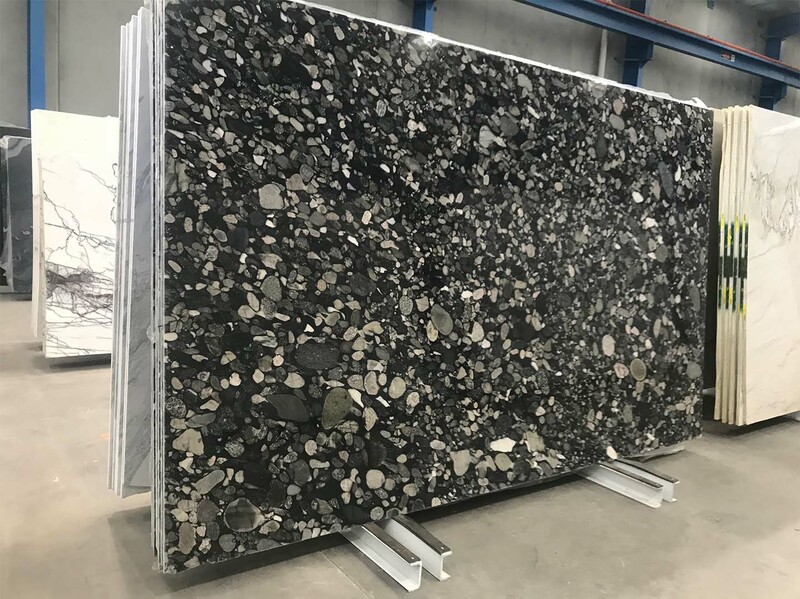 Nero Marinace is a unique black granite stacked with variously sized pebbles. The pebbles are in shades of black, white, grey and beige. Essentially this granite is a slab of fossilised riverbed rock. Nero Marinace is extremely hard, durable and suitable for any stone application.